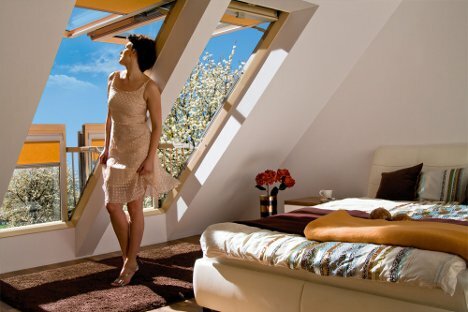 Attic or loft living can be great for a lot of reasons, but it can also come with a unique set of problems. The most significant of these is the quality of air to be found in the top level of a building. Even with air conditioning or open windows, the orientation of the living space on the top floor of the building leads to hot, stuffy air. 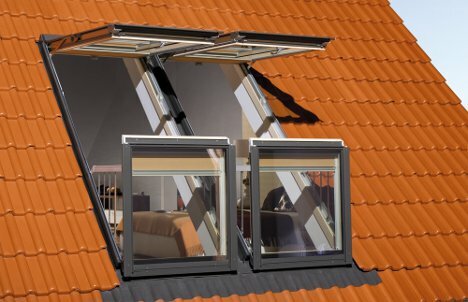 The balcony windows from Fakro are a perfect way to solve this problem. 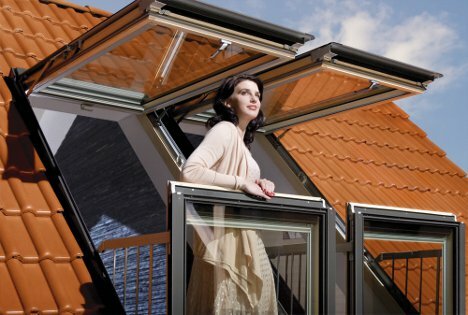 They are designed for installation in attics with pitched roofs to add a bit of outdoor space and much-needed air flow to the upstairs rooms. When closed, the windows look like any other skylight windows. They open in two pieces: the top sash lifts up and the bottom sash moves up and outward, creating a kind of enclosure. 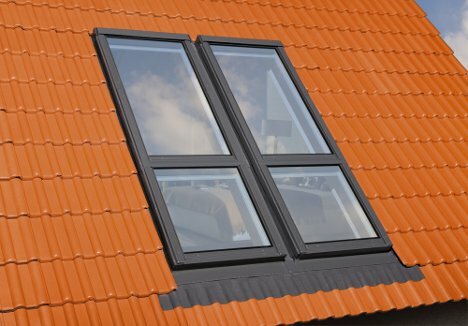 The bottom sash conceals a hidden safety rail that pops into place when the windows are fully opened, making the balcony feel safe. The windows, when fully opened, add a sense of space to an upstairs domicile. Although they do not create a space for one to walk on and place flowerpots or other outdoor decorations, they do provide a small space for residents to stand, breathe in the outdoors and feel close to nature.